Guide to finding Cell Tower location and 3G/4G services available. The ACMA / RADCOM website has been updated with improved search functions. 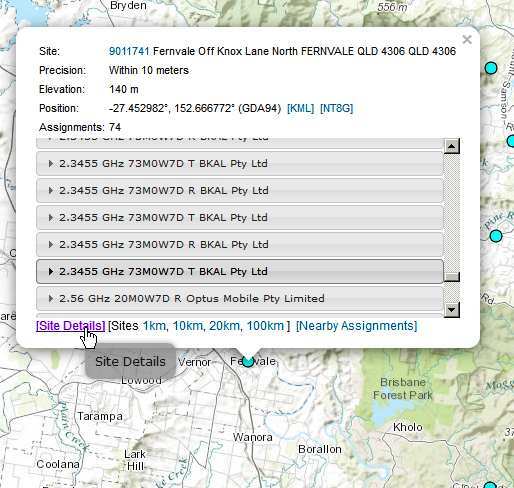 You can now search for Mobile phone towers near your location by Address, Latitude, Longitude or Postcode. 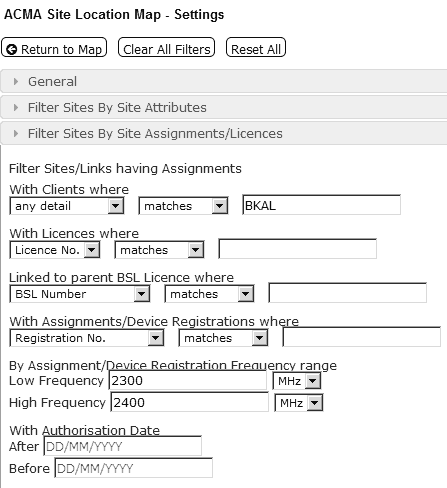 The Results can be filtered by Emissions Designator, Client Name (eg Telstra), Frequency and much more. For other bands, see the list below. 3.1 Enter GPS coordinates or search for the Street Address. a. Open the ACMA / RADCOM search page. c. Start typing you street address and select the correct suggestion. Alternatively, paste in the Lat/Long coordinates from Google Earth. 3.2 Filter the site results. a. Click the Filter Sites (Filter in Use) drop-down menu. b. Select the By Assignments tab. 3.3 Filter Sites having Assignments usage. a. Press the filters button. b. Enter "With Clients where" and "By Assignment/Device Registration Frequency range" values as per below. -- To be determined, current at time of publication. % The first 4 characters indicate bandwidth. Eg: 5M00=5MHz, 40M0=40MHz. Higher bandwidth allows for faster data speed. 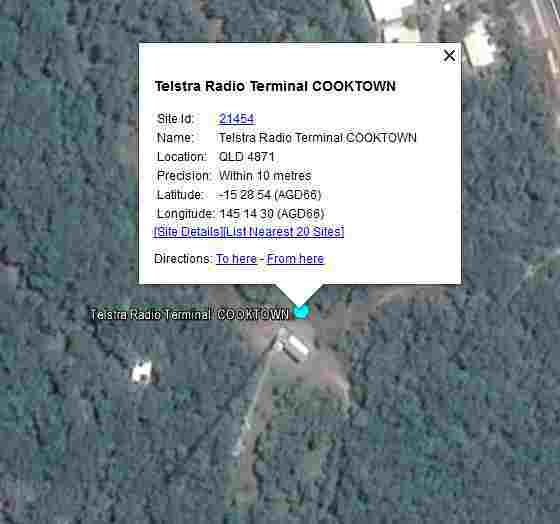 3.4 View the Site Summary, Locate tower in Google Earth. a. Zoom and drag the map to find cell tower locations. 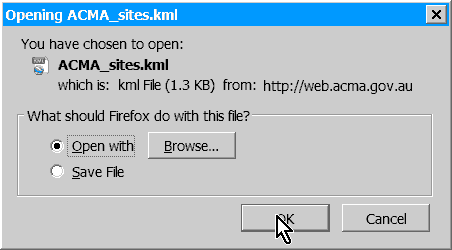 b. Click on the site marker to show the Site Summary bubble. c. Right Mouse click on [Site Details] to Open Link in New Tab.